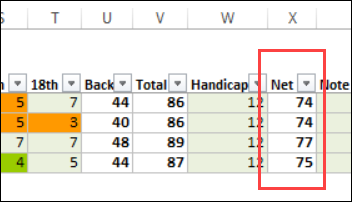 Enter your golf scores in this Excel workbook, for each round of golf that you play during the year. Excel will calculate the totals for front 9 and back 9 holes, and the total score. Then, based on your handicap, a net score is calculated. On the Summary sheet, your overall results for the year are shown. 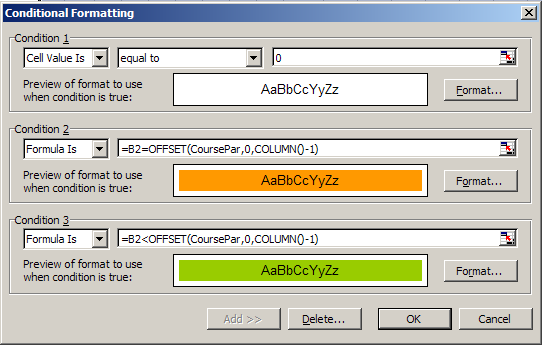 The Summary worksheet is protected, with no password, to prevent the formulas from being accidentally deleted. The first step is to enter the par for each hole in your golf course, on the Summary sheet. After each round of golf, enter the date, and your score for each hole, in the light green cells. 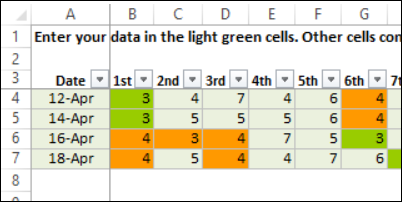 The worksheet has conditional formatting, so the pars will be coloured orange, and scores below par are bright green. The Scores sheet has an Excel table with a few rows, and it will expand automatically when you start a new row. On the Summary sheet, your average and best scores are calculated, as well as the number of rounds played. Also, your best score for each hole is shown, and your average score on each hole. 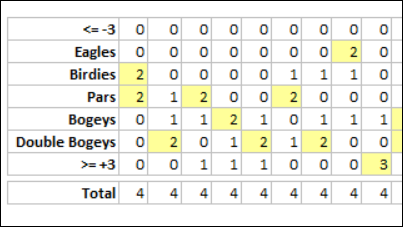 Finally, there's a tally of your pars, bogeys, birdies, etc., for each hole, using the COUNTIF function. The most frequent type of score is highlighted for each hole. There's one named range in the workbook -- CoursePar. 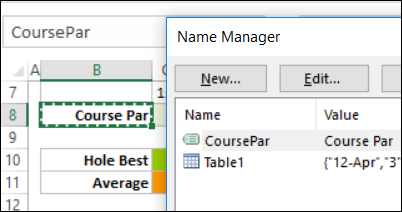 The CoursePar named range is used in the conditional formatting on the Scores worksheet. 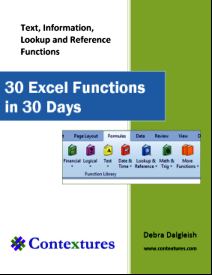 Download the zipped workbook: Excel Golf Scores . The file is in xlsx format, and does not contain any macros.